How to use a rotary encoder in your CircuitPython projects! A rotary encoder. 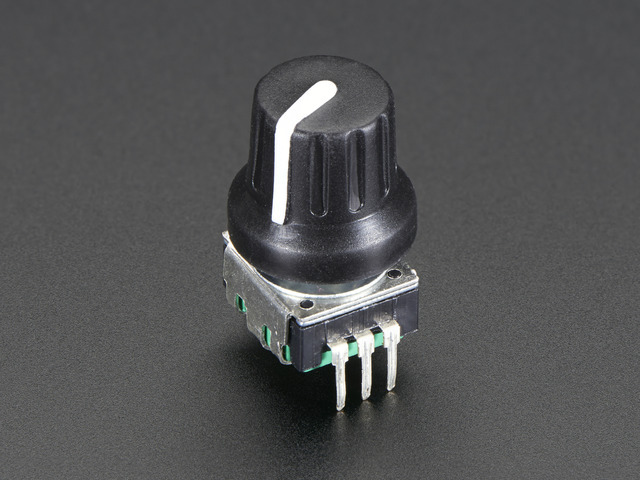 This guide uses a 24-pulse mechanical, incremental rotary encoder with a push button switch. 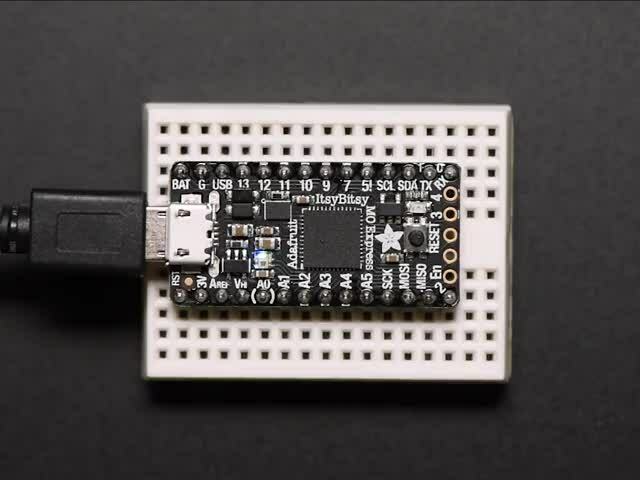 It fits onto a breadboard to make it easy to connect to a microcontroller board. 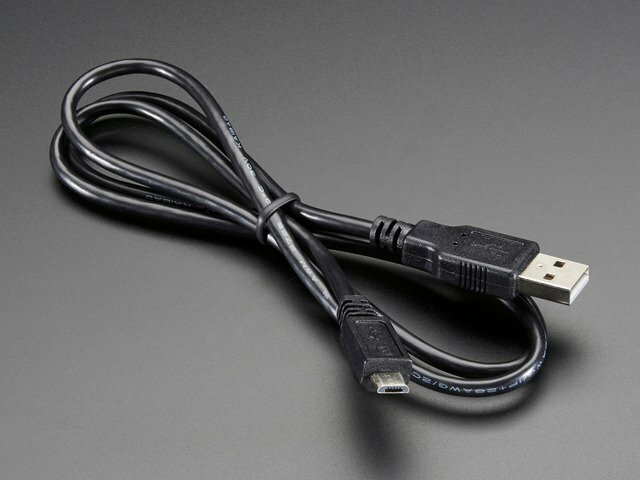 A USB Micro/A data cable. You'll need a known-good USB data cable! If your board isn't working, try a different cable. There are many USB cables that are only used for charging, and those will not work for this project. 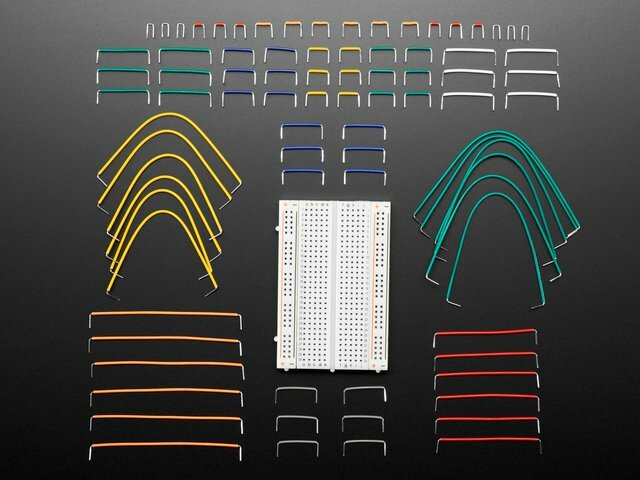 A breadboard and jumper wires. 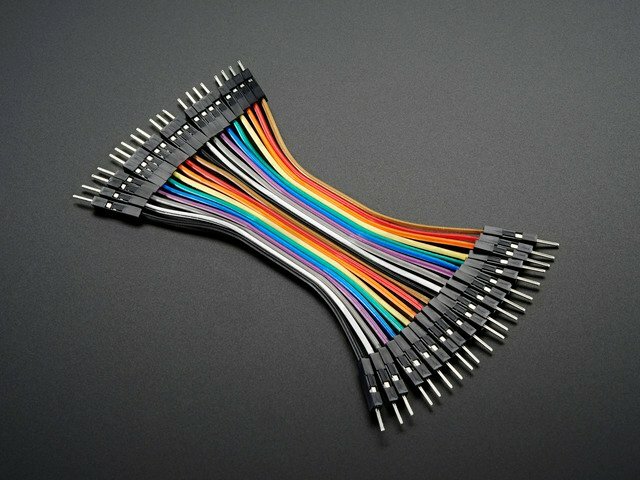 You'll need these to connect up the rotary encoder and the ItsyBitsy M0 Express. The rotary encoder has 5 pins total. Three are for the rotary encoder and two are for the button switch. The rotary encoder pins are A, C (common ground), and B, in that order when the rotary encoder is upright, i.e. oriented so the three pins are facing you. We're going to be using both the rotary encoder and the push button switch for this guide. The following wiring diagram shows wiring up the rotary encoder to the ItsyBitsy to match the code example. You can wire it however you like to your CircuitPython Express board - just remember to also update the pin #'s in the code! You can use up to 8 rotary encoders, and the two pulse pins (A and B) have to be on separate external interrupt pins. However, just about all the pins have different interrupts so just pick two pins and see if CircuitPython runs without throwing an exception! This guide was first published on Jun 18, 2018. It was last updated on Jun 18, 2018. This page (Hardware) was last updated on Apr 25, 2019. Use the BNO055 absolute orientation sensor with a small board Linux computer.